Our medical staff includes 20 doctors including seven emergency veterinarians and seven board certified specialists. They are supported by a diverse hospital team of technicians, client liaisons, technician assistants and administrators. We have been honored to receive the “Best of New Haven” award eight times. Although our greatest accomplishment has been, and always will be, serving our community. 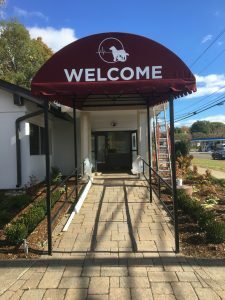 We provide emergency and specialty services to small animals from all over Connecticut. We proudly receive patient referrals from over 150 veterinary hospitals. 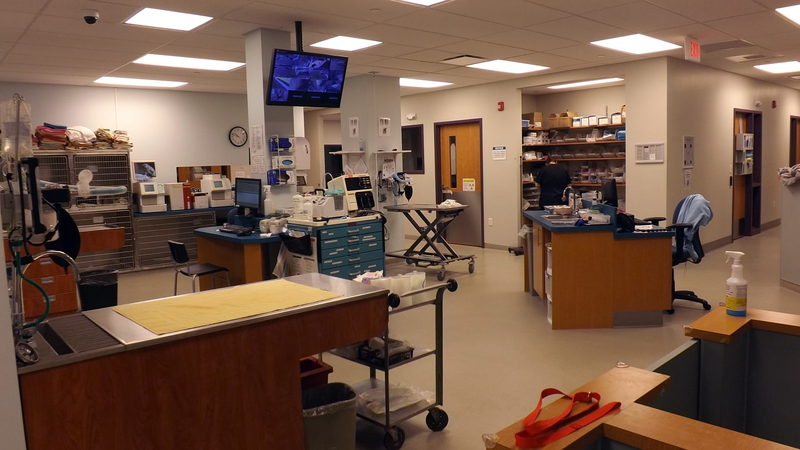 We are one of the largest veterinary hospitals in the state. Our brand new hospital was designed so we can provide a very high level of care to our patients. 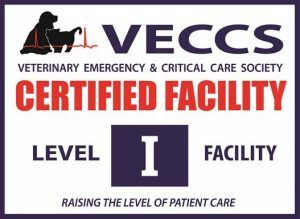 Open and fully staffed 24 hours a day, 365 days a year by experienced veterinarians and technicians for emergency and urgent care. Specialists available by appointment only. NO APPOINTMENT NEEDED FOR EMERGENCIES! Our radiology department uses digital radiography, ultrasound and CT scans to help identify problems with parts of the body including lungs, heart, bones, abdominal cavity and more. Central regularly provides these services on an inpatient and outpatient basis. Outpatient appointments are on a referral basis only. The department is overseen by Dr. Lance Rozear, a board certified radiologist. Our Internal Medicine service offers specialized knowledge, advanced diagnostics, and a high level of experience with the treatment and management for a variety of internal medicine problems of dogs and cats. Veterinarians that specialize in Internal Medicine have advanced knowledge of small animal endocrinology, gastroenterology, respiratory disease, infectious and immune-mediated disease, and diseases of the kidneys and lower urinary tract. Central Hospital For Veterinary Medicine Oncology Department diagnoses and treats many forms of cancer. We utilize many types of chemotherapy and can coordinate procedures with our Surgery Department to maximize outcomes while minimizing complications. As in humans, hyperthyroidism is seen regularly in cats. A common cure for the condition is the treatment with radioactive iodine. When injected into a cat, the radioactive iodine is taken up into the thyroid tissue so it specifically effects that one body part. Complications are rare and treatment is frequently a complete cure. Cats first have an exam with our Internal Medicine department to make sure they are good candidates for treatment. The pet is admitted to the hospital on a separate Monday and receives the injection that day. Typically cats need to stay at Central for three to four days due to radiation and then they are able to go home. Our staff will discuss special protocols for at home after discharge to keep you and your pet safe. A couple weeks after leaving the hospital, you can return fully to your normal routine. Our program is overseen by a Radiation Safety Officer and our staff receives regular training. In addition we are registered and guided by both state and federal agencies. Our Behavior Department can help pet owners control dangerous and self-injurious activities. 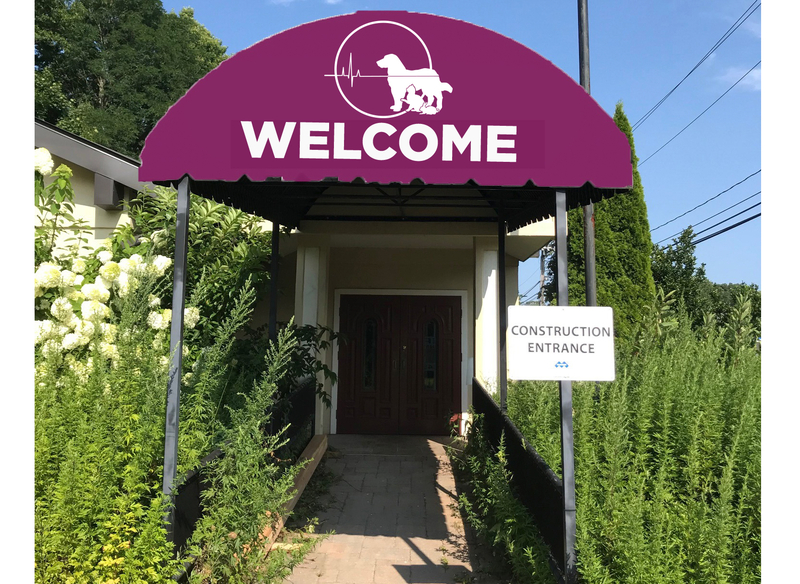 The Behaviorist is a board-certified veterinarian who focuses solely on helping pets live within their surrounding in harmony. For more information visit our behaviorist’s website at http://www.lindellvetbehavior.com/. The Avian/Exotic Pet department at Central Hospital offers wellness examinations as well as treatment and hospitalization of sick birds and small companion animals such as sugar gliders, guinea pigs, rabbits and ferrets. Basic evaluation and supportive care is available through our emergency department. The Cardiology department provides treatment for animals with conditions that affect the heart, lungs and circulatory system. Interventional Radiology allows our doctors to treat some medical problems in a less invasive manner using fluoroscopy to guide a wide variety of specially adapted instruments to treat conditions. The result is smaller incisions, less pain, decreased anesthetic time and shorter hospital stays.